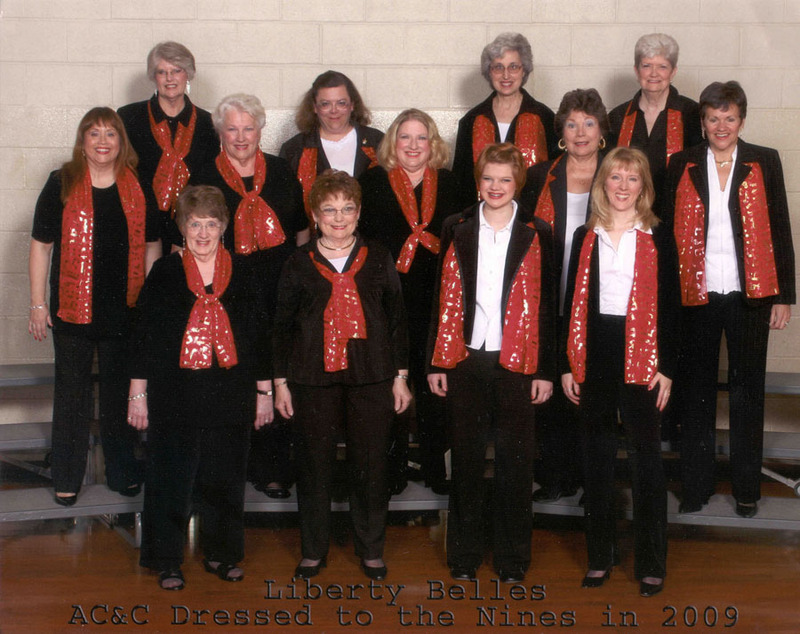 The Liberty Belles Chorus was formed in 2006, when Anne Bureau (our musical director) met 5 other women who were interested in forming a female barbershop chorus. They met every week at Anne's house, learned songs, sang, and practiced their craft. Anne was always looking for new members, and promoted the chorus at every opportunity. "I would make it a point to keep talking up the Liberty Belles whenever I heard someone humming a tune," Anne recalls. "I would put up posters looking for singers, in local coffee shops, grocery stores, and anywhere they would allow me to". She asked other members to do the same, and eventually they had grown to the point where they needed to move to a more 'public' location. And so, they began rehearsing at St. John's UCC in Lansdale, where they remained until 2014. The chorus eventually outgrew St. John's, and moved to the First Baptist Church of Lansdale, where rehearsals are currently held today. We continue to grow and spread harmony in our community, bringing together women who are passionate about singing, passionate about music, and passionate about spending time with good people. Over the years we have built a strong community of women who support each other, and who are empowered to grow both as individuals and also together as a group. 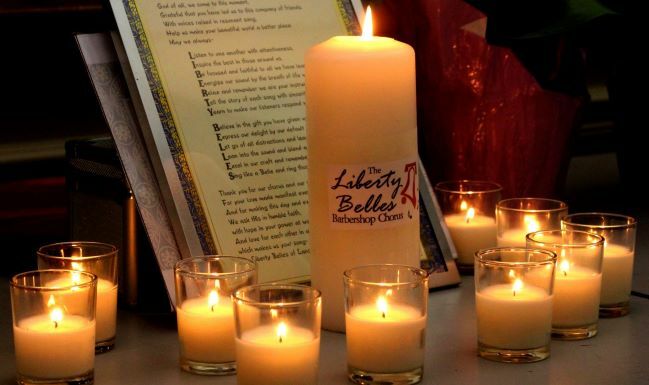 Since 2009, The Liberty Belles have been a proud chapter of Harmony Incorporated, a non-profit international women's singing organization. Founded in Rhode Island in 1959 by Peggy Rigby, Charlotte Sneddon, Mary Avis Hedges, Jeanne Maino, and Mary Perry, the organization currently includes over 2,000 members from the United States and Canada. In keeping with their motto, "A Blend With Friendship," many Harmony members develop lifelong relationships that span generations. Harmony Inc. is dedicated to preserving the barbershop style of music, and educating its members (women of all ages) in the art of its performance. 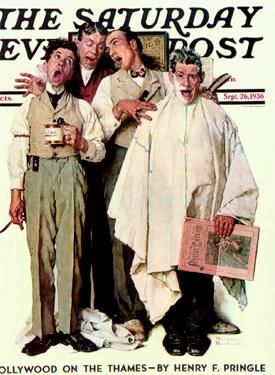 The "barbershop" style of singing originated in North America in the 1800s, when groups of men would gather together to socialize at their local barber shop, and join together in a tune to pass the time. This recreation became increasingly popular over the years, and in 1938 it became an official organization in the form of the Barbershop Harmony Society. Not long after, several other men's and women's organizations were formed. Since then, Barbershop music has grown into a favorite pastime shared by more than 70,000 singers worldwide. Barbershop quartet singing typically includes an all-male or all-female ensemble of singers, who sing music in four-part harmony, without accompaniment by an instrument ("a cappella"). The group consists of a lead, a bass, a tenor, and a baritone. The melody is consistently sung by the lead, with the tenor harmonizing above the melody, the bass singing the lowest harmonizing notes, and the baritone completing the chord. A barbershop chorus sings with the same style, but with large numbers of people singing each of the four-part harmonies. It is therefore important for each section to sing together as one voice. When the music is sung accurately, barbershop harmony produces overtone vibrations that create a resonant ringing sound. As a chorus, the Liberty Belles strive to achieve this unity in both sound and movement.